Since the first utilization of internet chat rooms and the boom of AOL Chat Rooms, online dating in one form or another has been a part of our lives. For twenty years, the idea of finding love through a series of questions and tests has given saving grace to people around this great land. Unfortunately, the system has inherent flaws that will self destruct and potentially lead to greater levels of mistrust, defeat or depression. eHarmony, Match.com and OkCupid to name a few have developed an analysis tool to help narrow down your “Perfect Match”. Through questions about religion, sexuality, interests, hobbies, talents, education, sports and brushing habits, these databases of love are intended to help you walk away with your perfect mate. Even niche sites such as J-Date and Christian Singles have offered specific populations based on faith and believe. The competition is heavy and the options are ample. 1. By opening the window of opportunity and expanding your ability to search to hundreds if not thousands of miles, there is a perception that your plate will never be empty. With the anonymous approach online dating presents, the opportunity to open your dating calendar to multiple partners is much easier. Often, if you have the basic traits of a good partner (looks, personality, money, charm) you can attract a number of possible suitors. From their perspective, they may see a date as their shot to see if a match is made and many times, the evening goes exactly as planned, but what they are not aware of is that one will not know if that date is in his/her future for quite some time as there are three other dates lined up shortly after yours. 2. 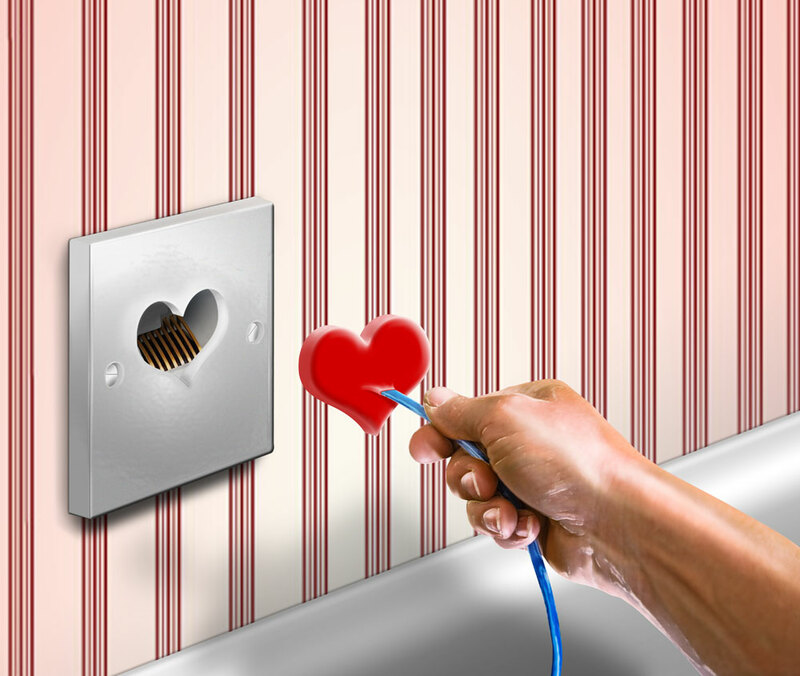 Like most addictions, online dating can be its own vice. With the massive population of smartphone users, one can be at dinner, a party, the subway or the park and check their email to see if any new possible dates or out reaches have occurred. I was at an outdoor local music festival and a woman spent a good part of three hours emailing back and forth on Plenty of Fish until her battery was drained. If I were to ask her about one band or song from that evening, I am fairly confident she would not know. 3. You can sell the theoretical notion that a high percentage match is a natural fit, but human nature does not work that way. We will continue to look at pictures, physical appearance/traits, wealth and stability factors above and beyond what a score might say. 4. Internet courage. This is very similar to liquid courage at a bar, but internet courage is the simple notion that if one is not rejected you in person, they aren’t rejected at all. Depending on your characteristics, your response rate can be as abundant as 50% or higher or as low as 10% or less. If you typically have a difficult time, getting dates, why not send 100 emails out with a generic “I liked your profile we should talk” or just “I wanted to say hi” and hope they right back. If they don’t respond, you are in the clear, but maybe just maybe this could like to a subconscious feeling of being deserted or undesirable may surface over time. 5. Mass production of the pick up line. If I were to walk up to a girl as a coffee shop or bar, I should have some line prepared. If I compliment her dress or eyes, it will still be viewed as a pick up line. It is an ice breaker. At that point, it is up to her after a quick glance if she wants to continue the conversation. In the age of online dating, you can type your best pick up paragraph, save it and then cut and paste into every profile within a 25 mile radius. Hopefully, you will at least glance at the profile so you can put something personal in the body of the email. 6. The disparity between women and men is very different. 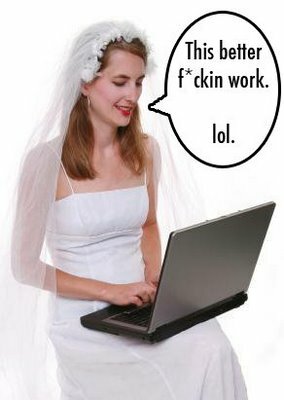 A typically woman will receive up to 10 times or more as many emails as a man. So if a male gets two responses in a day, he will of course respond, but if a female gets 50 a day, the likelihood is she will not spend too much time past a picture reviewing the profile and the chance of a response is quite limited. 7. There is a tendency to bump up to the higher level of attraction. How often will a 5 approach a 10? Not very often, unless there is a dare or a high level of intoxication. With online dating, a 2 can email a 10 so many take advantage of the anonymous front with no chance of rejection and reach out to those that are physically or social status by society standards out of their league. 8. Pictures lie. More importantly people lie. How many times, have you agreed to a date, got really excited, picked a nice expensive restaurant and showed up to find out the pictures were ten years old and there is less hair on top and more weight on the bottom. Misrepresented images are quite common in the online dating circuit. 9. Genuine profiles and “players” are still an obstacle that online dating has yet to overcome. If a woman or a man is just looking for a casual fling, they exist anywhere you go, even online. They will say whatever they need to in order to get that fix. This is not a knock on internet dating, but more of a warning that it is another method of finding a mate, but still has the same mind game issues. 10. 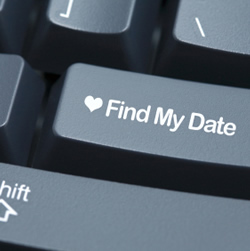 Online dating can make internet stalking a little easier. How many people use the same profile name or offer up their first name and location. That is all you really need sometimes to Google search, find the Facebook page or other social profiles to learn more about a potential date. They sites aren’t as secure as we might think as we are creatures of habit and consistency especially with profile names and passwords. I have known a growing number of people that are turning to online dating, some trying the free sites first and others joining niche or pay sites. Many have found success. In fact, I attending two Match.com weddings in one year. Many do not and grow even more frustrated at the prospect of finding that perfect mate. In the end, it is a form of communication to help you through the difficult path to love. It offers additional options that bars, coffee shops, grocery stores and dog parks cannot. This piece is not meant to steer you away from the option of online dating but to have you walk into it with a little additional perspective and accept that there are flaws to the system. If you are searching, good luck. There are some great people out there and with the right effort or luck, you will find them. Previous Is Technology Helping the Recession Along? You forgot to mention the scammers! I was on one site that every single person who contacted me was a scammer. Every single one! I am not very good at ferreting out the scammers. All of mine have lived much further away. All had ‘jobs’ that took them out of the country. All immediately suspended their profiles once I answered. All wanted personal info like phone numbers fairly quickly. One I strung along for a bit because I was curious as to how long it would take before he asked for money. It finally came about 6 weeks into our emailing. When I refused, he took a different tack and threatened to say bad things about me on FB and Twitter. I don’t have either of those accounts and use a separate ID for dating sites. So people must be very careful. It’s sad that you have to go into a situation so on guard and distrustful. But it’s necessary. I have met about 4 local men. None of them are a good fit. But I’m picky. I’m also a bit of a geek, so it’s hard to find someone who appreciates my geekitude. 🙂 I’ve had better luck at Meetup.com in making friends, expanding my social circle, and hopefully eventually meeting someone who finds me dateworthy and vice versa. There was one gal I had know for nearly 18 months — we connected occasionally online but meeting was not possible as we were nearly 5000 miles apart. But we kept meeting more often, and then IT happened… We have now been “dating” for 3 years, I have flown to see her and her family, and we are comfortable enough with each other to plan a marriage. It is like anything else — you get only what you put into it. While looking for a date before my current fiance, I — and most others — were looking at what we could get from the service, instead of what we can contribute. Once the selfishness was removed, a lot of things started to happen… a lot fo GOOD things!